PlayerAuctions - is the world's premier consumer to consumer marketplace for digital asset exchange for the most popular MMORPG's including Everquest, World of Warcraft, EVE, Aion, and over 170 other game titles. Below are some FAQ about our program: Depending on product type and game category our average order value can range between $20 - $300. The minimum purchase amount is $5 while there is no upper level cap. We have had purchases made upwards of $2,500. Our current conversion rate is around 4.8%. Earn 2% commission on sales. For Total Sales Amount equal to or greater than $75,000.00 USD increase commission to 4.00% per action. 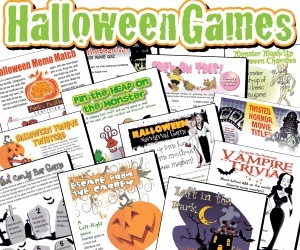 Python Printable Games - sells printable trivia, party games and other entertainment for all the major holidays, with dozens of new games being added to the site every month. Our products are affordable, priced to encourage impulse purchase and high conversion of traffic to customers. Python Printable Games is a fun, fast-growing young company and needs YOUR help to continue breaking records. We believe firmly that all affiliates, whether they drive a few or many sales, are vitally important to our success and have set an industry-leading base commission rate of 35 per cent to put our money where our mouth is! RaceXpert - Established in 2002 RaceXpert has quickly become one of the UK''s leading horse racing software suppliers with customers all around the world including the USA, Canada, Germany, France, Spain, New Zealand, Italy, South Africa, Finland, Jersey, Australia, Norway, Malta, Greece etc. As many happy existing members already know, the RaceXpert Horse Racing Software Package is without doubt the BEST suite of Bookie-Bashing tools that you can ever hope to find, anywhere!! For less than £80.00 you can download the software with full daily updates and begin carefully analysing every UK Flat, All Weather, and Jumps race the day before racing. As well as standard ratings and speed figures you also get a whole host of unique features including Trainer Power, Hot Horses, Trainers in Form, Hot Jockey & Trainer, positives & negatives of a race, draw analysis, a system research assistant and loads more horse racing reports, statistics and printouts, all available at the touch of a button. Just blindly backing the top rated horse will throw up lots of daily winners. But this program is more than just a ratings tool and has been designed for both the novice and professional alike. Indeed you can use it to view full form and past races from every foreseeable angle. Affiliates earn 40% commission on sales. SCDKey.com - sells official game cards and keys at low prices. These legal keys make gaming on PCs and home consoles a convenient and affordable experience. SCDkey.com is not only a retailer but also wholesaler sales of MMO games merchandise. It is a direct sales supermarket. In 2010, we officially launched a game portal for selling Steam, Origin, Uplay platform game CD-Keys, in the past 4 years we have obtained countless customers’ patronage.This inspiring result is due to our customer friendless, the quickness in our business processes and our convenient sellers pricing and even after the completion. Earn at least 8% commissions with each sales. Scratch2Cash - Best online scratch games - Scratch2Cash affiliate program is promoting online scratch card games. By becoming a Scratch2Cash affiliate, you can offer your customers access to the world number 1 online scratch games where they can scratch and win up to $100,000. Scratch2Cash affiliate program benefits: Attractive Online scratch cards games with high winning odds. A broad range of constantly updating creative material for Affiliate marketing and incentives for attracting and retaining players. Reliable, accurate tracking and reporting. Marketing Support Staff to answer your questions, comments and suggestions. Fast and reliable Commission Payments. Revenue Share and CPA payment plans. Earn 85% commissions for the first month! Sellto.com - is a trade in selling service that gives you CASH for your unwanted Video Games, DVD's, Blu-Rays and Electronics. We make getting MORE CASH for your PS4, PS3, PSVita, Xbox, Xbox One, Xbox 360, Wii, WiiU, DS and 3DS games easy. We have also started to accept more than just video games now. Furthermore we offer a massive market leading 10% on Video Game, DVD and Blu-Ray Trade Ins! If you are interested in acting as one of our affiliates then we offer great commission rates, a wide range of advertising artwork and independent tracking. Whether you undertake e-marketing campaigns, own a web site or even run affiliate promotional programmes through other online channels, you'll earn substantial commission rates from every single sale that you generate! Since launching in 2014, we have become one of the most popular online trade in websites in the UK, enabling our customers to get CASH in return for their unwanted stuff. Whether you generate sales for DVDs, Blu-Rays or Video Games you will receive a fantastic market leading 10% commission from each and every item sold. Earn up 10% commission on sales. Technology Will Save Us - is one of the UK’s most exciting design-led startups focused on learning. We are on a mission to spark the creative imagination of young people using hands-on technology. Since launching in 2013 we’ve sold over 40,000 kits in over 87 countries. We’ve partnered with companies such as Google, BBC, the Prince’s Trust and Code Club to deliver great learning experiences to thousands of people. Our kits make great gifts for young people and adults, and are a truly enjoyable way to learn new skills, from soldering to coding. We are one of the leading companies in this rapidly expanding space. We are on a mission to spark the creative imagination of young people using hands on technology. Our award winning make-it-yourself kits and digital tools help kids (and the adults that love them) to make, play, code and invent using technology. We started small, around our kitchen table, and have now built a company of 28 passionate designers, educators, engineers and problems solvers – obsessed with inspiring kids and empowering parents to become creators of technology. We have 6 different make it yourself kits and hundreds of digital tools and projects to support kids in learning through play. We have sparked the imaginations of kids in over 97 countries around the world. We work closely with children to design our kits, engaging in large scale research projects before beginning on design & manufacture. We often get asked about our name and if we actually think technology will save us… The answer is that we believe diverse, creative and empowered kids and families will save us and technology will be at the heart of how they do this! Earn 8% commission on sales. TradeYourGames.co.uk - is a unique proposition in that customers can not only buy video games consoles and blu-rays, they can also sell their used and unwanted items for cash or indeed use them as credit against anything they are buying all in the same shopping cart. We are the only site in the UK that replicates the trade-in model on the high street, but offering more cash for items and selling them to customer for lower prices. We offer some of the cheapest prices for used games on the net and aim to give significantly higher cash amounts for items sold to us compared to what some high street stores offer. Selling completed video games, consoles and blu-rays to us for hard cash removes the hassle of people selling on eBay etc and gives them an instant value to the items they’re looking to sell. As there are no fees involved, no issues with non paying buyers/bidders – our prices paid for items are highly competitive. Average basket sizes are £60.00 and are therefore significantly higher than merchants where orders will only consist of buying one item. At TradeYourGames, as we offer the ability to buy and sell we find that when people sell, they sell in bulk, clearing out their collection of games and often consoles too. Also, the % of returning customers is high as many customers will return to spend their credits on other items rather than simply cashing out. In terms of commission, we pay affiliates 5% on items bought from the site. Items sold to TradeYourGames will also result in 5% commission to affiliates but as there’s a process where we need to wait for the delivery of the items, there’s a maximum 25 day validation period. If the items are not received within 25 days the sale will be declined. The Journey to Wild Divine - is an “Inner-Active” multimedia adventure that integrates the power of a healing journey with innovative human-computer technology to help you cultivate an enhanced sense of self and soul-awareness. Healing Rhythms, the recording label for The Wild Divine Project, provides music that celebrates the human experience and that is intended to have a therapeutic effect on the listener. Currently, Wild Divine are producing a “Healing CD” featuring music performed by amazing musicians from around the world — all in the spirit of healing. Earn 15% commission on sales. The product selling price is $159. Xbox 360 3 Red Lights Fix - is a new step by step guide that allows you to easily and quickly fix your broken Xbox 360. Has Your Xbox 360 Got The Three Red Rings Of Death? Don't Spend $150 On Costly Repairs Fix It Yourself With This Complete Step By Step Guide! Even if you are completely new to computers or just are not good with technology, don't worry! The Xbox 360 3 Red Lights Fix guide has full color pictures and easy to follow steps. It literally walks you through the few steps to fix the 3 Red Lights Error. Promote this awesome Xbox 360 repair Guide! Awesome niche and pays 75% a sale! Full affiliate tools (banners, images and much more...) Pays $21.19 for every sale! 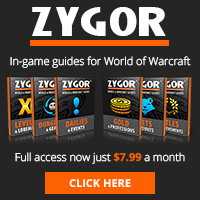 ZygorGuides.com - Zygor Guides - 1-70 World of Warcraft Leveling Guides. World of Warcraft guides are one of the most demanded products on the internet today. People are constantly searching for excellent guides and Zygor Guides offers top quality products with very high conversion ratios, as high as 8.73%. Your income can be limitless and all you have to do is promote their website. Earn 55% commission on sales.